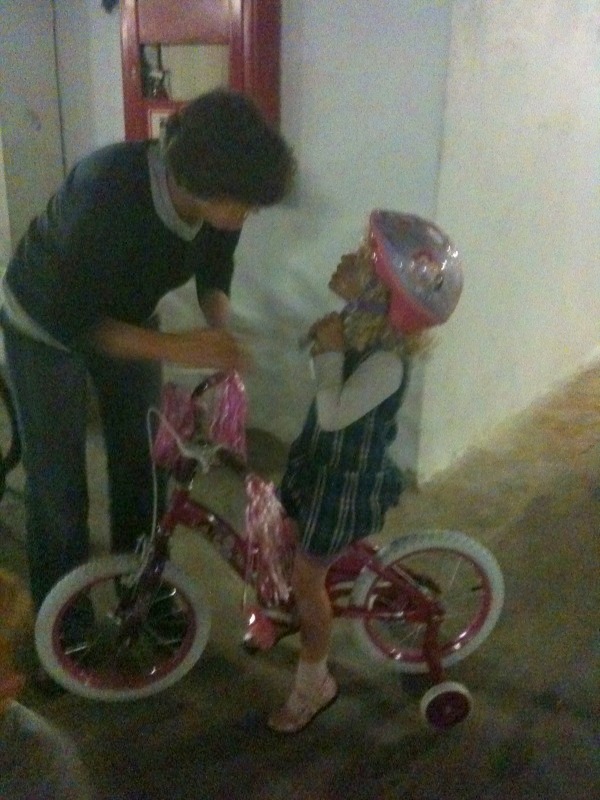 So, Lilly got a new bike today. 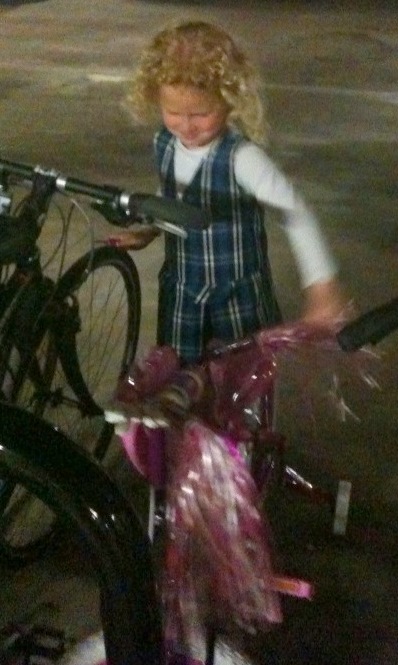 Actually, it was her first bike. The result of her EARNING 20 stickers for "behaving" at naptime at school. It took six weeks, but she did it. She earned her bicycle, and my parents bought it for her. I didn't remember my first bike, or who taught me to ride it until my mom reminded me today while Lilly was riding around the underground garage showing off her new princess bike. My mom taught me. She is the one who let go and let me soar. Why I don't remember this, I don't know. What I do remember is riding hands free down the road away from our house and the golf course towards the pool where my sister was a lifeguard. We lived on an Army Base and since my dad was gone saving the world and jumping out of airplaines, it was left up to my mom to soldier on while my sister lifeguarded and did her teenage thing. 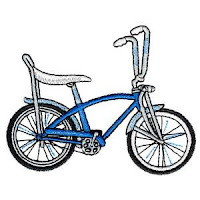 It was also on my mom to teach me to ride my bike. She also taught me to drive, but this is another post for another time. Family, nothing else needs to be said. well, the little guy is in there trying to keep up. I think your bike was exactly like that picture. A terrific blog. There must be satisfaction in keeping such a rich account of life. Thanks. Thanks.